A guide to six portable Bluetooth keyboards perfect for minimalists, road warriors and anyone who appreciates a unique keyboard design. Portable Bluetooth keyboards are the perfect accessory for road warriors and minimalist tech enthusiasts. With low-profile designs, compact keyboards are easy to throw in a carry-on or to slip into a desk drawer to minimize clutter. Another key feature of portable Bluetooth keyboards is that -- for the most part -- they're compatible with up to three devices at one time. That means you can swap between your Android, Windows and iOS devices with ease. I tested six different portable Bluetooth keyboards -- from standard, familiar keyboard slabs to unique, folding designs. 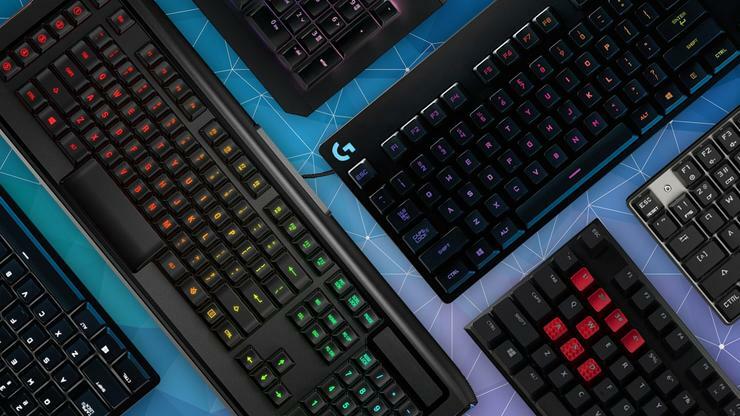 Whether you're concerned about price point, a comfortable typing experience or a highly portable design, one of these keyboards will fit your needs. The Anker Ultra Compact Bluetooth Keyboard is ideal for budget-conscious buyers. But don't let the $24 price tag fool you into thinking it's cheaply made; this keyboard has a solid and high-quality design. It's comfortable to use for long periods of time and comes with a rechargeable battery, so it's easy to keep charged on the go. There isn't a standout feature on this keyboard, but there aren't many drawbacks either. It's a compact keyboard, that offers a typing experience typical of a 13-inch notebook. The key travel is a little hard, but after moderate use I could tell the keys were starting to break-in and soften. But if you want a truly soft key travel, you will want to consider the Logitech K380 mentioned later in this article. The layout of the chiclet keys didn't feel cramped and my typing accuracy was on par with my typical, every-day keyboard. My only gripe is that the CTRL key is located to the right of the FN key. Normally, this isn't a huge issue, but on the Anker keyboard, the S key is also tied to the Bluetooth function. Every time I hit CTRL+S in Microsoft Word, I'd disconnect my Bluetooth instead of saving my document. Ultimately, the best feature of this keyboard is its price. As you'll see on this list, compact keyboards aren't always inexpensive. But the Anker Ultra Compact Bluetooth Keyboard is a solid, reliable keyboard that will fit right into anyone's budget. Pros: This is a well-designed, no-frills keyboard at a reasonable price point. Cons: Key feedback is a bit hard and springy. If you want a softer keyboard, consider the Logitech K380. I was excited to try out the iClever Tri-folding Wireless Keyboard with Touchpad, and although I didn't expect it to be the most practical keyboard, it didn't meet my expectations. The keys were too small and close together. I couldn't type anywhere close to my normal accuracy. And due to the folding design, the keyboard never laid completely flat on my desk, which made some keys unresponsive, including the space bar. Although it wasn't the best experience, I give credit to iClever for packing an entire keyboard and trackpad into one of the smallest form factors I've ever seen. The touchpad works well, but the typing experience was lacking for anything more than a quick email reply. I like the idea, since you can use a trackpad on Android and Windows 10 smartphones and tablets, but it's not a keyboard you can rely on for regular use. It's also expensive, retailing for $60 on Amazon -- a high price to pay for a novelty keyboard. Pros: The built-in trackpad is useful for Android and Windows 10 smartphones or tablets and it's one of the most compact keyboards on this list. Cons: At $60, it's hard to recommend this keyboard unless you want a trackpad and a folding design. My experience with the iClever Tri-Folding Bluetooth Keyboard -- sans touchpad -- was a different story. It's much bigger than the model with the touchpad; opened flat, it's the same size as the Anker keyboard. The chiclet keys are comfortably spaced, while the key travel and layout reminded me of the Surface Pro 4 -- slightly soft, but not too shallow. This model of the iClever tri-folding keyboard is also backlit. You can select from red, green or blue lighting and two different brightness levels. I thought this was an aesthetic choice, but iClever states that the colors are suited for different low lighting situations. I often work in low-lighting at the expense of my future eyesight, and I found the green light to be the most comfortable. The backlighting isn't evenly distributed, but even LED lighting on any keyboard is hard to achieve, let alone a folding keyboard priced at $37. At that price, it's easy to recommend this keyboard -- it's a full-size portable, backlit keyboard that's comfortable to use and won't break your budget. Pro: A foldable design that offers a backlit, full-keyboard experience at a reasonable price. Con: Backlighting isn't evenly distributed across the keyboard, but it's hardly a con. The Windows Universal Mobile Keyboard is a compact wireless keyboard that is slightly smaller than your average laptop or tablet keyboard. Key feedback is soft and the chiclet keys are small, so if you have bigger hands you might not find it comfortable to type on. My favorite feature on this keyboard is the detachable cover, which can act as a tablet or smartphone stand. I used the stand with my iPhone 6 and iPad Air 2; both fit into the stand with their respective, low-profile TPU cases. I found myself going back to the optional stand frequently, and as I type this, my iPad is propped up in the stand, acting as a third display. It supports up to three devices -- iOs, Windows or Android -- and you can swap between devices with a switch at the top right corner of the keyboard. Transition was seamless, and I only found it lagged for a second or two the first time I used the keyboard with both my iPad and Surface Pro 4. I appreciated the compact size, tablet stand and its rechargeable battery, which Microsoft states will get a full day's charge in just 10 minutes. However, this keyboard is $80, which feels like a lot of money to spend on a keyboard that I wouldn't want to use as an every-day keyboard. Pro: The keyboard cover is detachable and includes a stand for your tablet or smartphone, making it a great travel companion. Con: Not the best typing experience, but certainly not the worst; at $80, I would expect a little more. The Microsoft Foldable Keyboard is one of the thinnest keyboards I have ever used. When it's folded in half, it's more compact than the iClever keyboards. The only issue with the folding design is that it separates the keyboard into two halves. It reminds me of the early 2000's when ergonomic keyboards became popular, splitting the keyboard into two sides. I'm torn on the design -- it's extremely low profile and I adapted to the typing experience quicker than I expected. I expected a shallow, mushy key travel, but I was pleasantly surprised. Despite the device's thin profile, the key travel is surprisingly comfortable for such a flat keyboard. It's also extremely portable, rechargeable, and connects to up to three iOS, Windows or Android devices. The keyboard became more comfortable to use over time and I eventually found myself making less typing mistakes. But priced at $100, I'd be more inclined to purchase the iClever folding keyboard with backlighting for $40. I have a hard time justifying the price point for this keyboard, since it isn't a keyboard I would use daily. If portability is a priority, and you have $100 to spend, the Microsoft Foldable Keyboard is the thinnest keyboard on this list. I'd still recommend it over the iClever Tri-Fold Keyboard with Touchpad, since it's comfortable to use and more practical. Pros: The sleekest and thinnest foldable keyboard on this list, with a comfortable typing experience despite its low profile. Cons: The high price tag makes it hard to recommend over other options that have more features for a lower price. Right off the bat I appreciated the design of the Logitech K380 Multi-Device Keyboard -- it's compact, high-quality and the circular keys give it a unique look. The keyboard supports up to three iOS, Windows 10 and Android devices. Of all the keyboards on the list, the K380 offered the most seamless experience for switching between devices. The one, two and three keys on the function row stand out in a bright yellow color against the grey keyboard. They're easy to locate and the connection is instant -- I spent an entire day comfortably switching between two Windows 10 laptops and an iPad Air 2. What I don't like about this keyboard is the fact that it uses AAA batteries. I don't mind batteries for a keyboard that lives at my work station. However, for a portable Bluetooth keyboard, I want something rechargeable so I can leave the batteries at home. It's a great keyboard nonetheless, and it's currently priced at $29 on Amazon; I tested the grey model, but it also comes in berry pink, navy blue and neon orange. Pros: A fun, unique design and a high quality build at a reasonable price point; it also offers seamless switching between devices. Cons: It doesn't have a rechargeable battery, so you'll need to keep spare AAAs in your work bag.